Slow down, read carefully, pay attention, Carl Honoré, author of “In Praise of Slow” will be speaking in Uxbridge Sunday Mar 3. 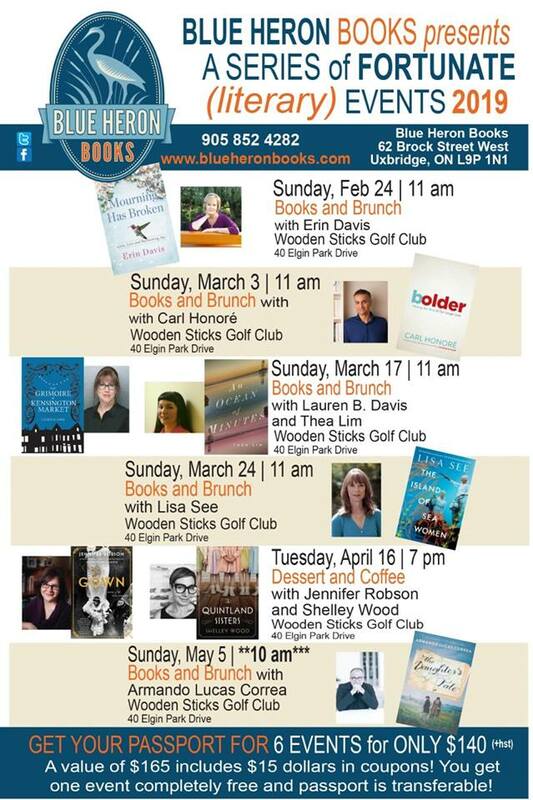 This is a Blue Heron Books presentation and is just one of the many authors lined up for the independent bookstore’s 2019 Winter/Spring Series of Fortunate (literary) events. For those of us here at Slowcity.ca this is pretty rad news; we have been advocating slow living for some time of course but Honoré’s new book “Bolder”, is also of great interest as it explores what it is to be older in our culture at this juncture - and who isn’t getting older and yes we are getting bolder too. Folks are no longer happy being defined by age, no more than they are by geography or gender or job. Instead of becoming less as we age we can be more, so much more. Broadcaster Erin Davis, the 2018 Scotiabank Giller prize shortlisted Thea Lim with Laura B. Davis, Lisa See, Jennifer Robson with Shelley Wood and Armando Lucas Correa are the other authors coming. All six events take place at Wooden Sticks Golf Course, five include brunch. Buy the Passport and get one event free and $15 in Blue Heron Books coupons.